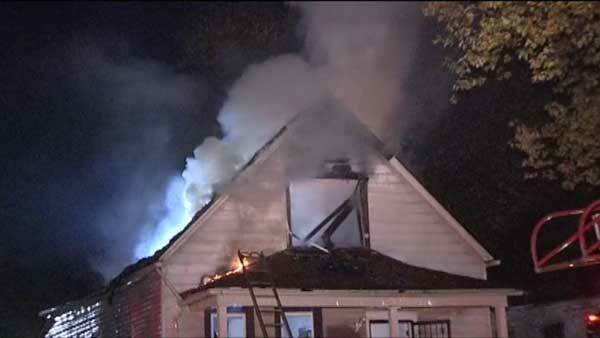 A firefighter was injured trying to put out a house fire on Chicago's Far South Side. CHICAGO (WLS) -- A firefighter was injured trying to extinguish a house fire on Chicago's Far South Side. Flames were seen shooting out of a two-story home in the 12000-block of South Sangamon Street early Tuesday morning. The Chicago Fire Department tweeted just before 4:30 a.m. that a firefighter suffered a shoulder injury and was taken to the hospital. Update for the Still and Box at 12228 S Sangamon- 1 ems transport, A5 transported a firefighter to LCM, shoulder injury. A source said two adults and three children were in the home and made it out safely. Investigators are looking into how the fire started.